“It is to build a united community, one where love prevails against hatred and conflict. It is to evangelized other and bring them to God’s light. It is to be reconciled with other and bring peace wherever we go. It is to inspire others to do the same”. 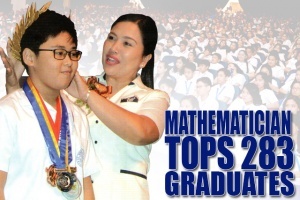 This is the challenge of Ethan Lestat Tiongson, a math wizard whoe emerged as with high honors – rank 1, to his batchmates during the 97th Commencement Exercises held at Manuela Q. Pastor Auditorium, April 5. Along with Tiongson were Wan Janela Bautista-rank 2, Jovelle Bianca Bool-rank 3, Jay Adrian Pineda-rank 4, Gianna May Cueto-rank 5, Angela Rose Beatriz Barbosa-rank 6, Ghiezyll Hernandez-rank 7, Andrea Clarisse Caringal-rank 9, Athrin Elise Guevarra-rank 10, Von Alexander Ilagan-rank 11 and Ma. Kathryn Grizelda Manalo – rank 12. Fifty pupils were awarded as with honors. They got an average of 90-94 with no grade lower than 88. Rev. Father Dakila Ramos, Parochial Vicar of the Immaculate Conception Parish, Bauan, Batangas officiated the Eucharistic celebration. In his homily, he stressed the values of faith, humility and love. Meanwhile, awards were also given to pupil who excelled in the different subject areas. SBC also recognized its employees for their commitment in rendering their service as lay mission partners. Mr. Melvin Escoton, Mrs. Liza Larosa and Mrs. Rubie Malata were awarded for their 10 years of service. Mrs. Maria Anabel Arellano, Mr. Dominador Dimaano and Mrs. Josefina Montalbo were recognized for their 20 years of dedicated service. Mr. Quirino Dinglasan, a retiree, was also given a plaque of recognition for his 14 years of service to the school. Dr. Ana Maria Clara Palacios, President of SBc Alumni Association led the graduates in their oath taking. 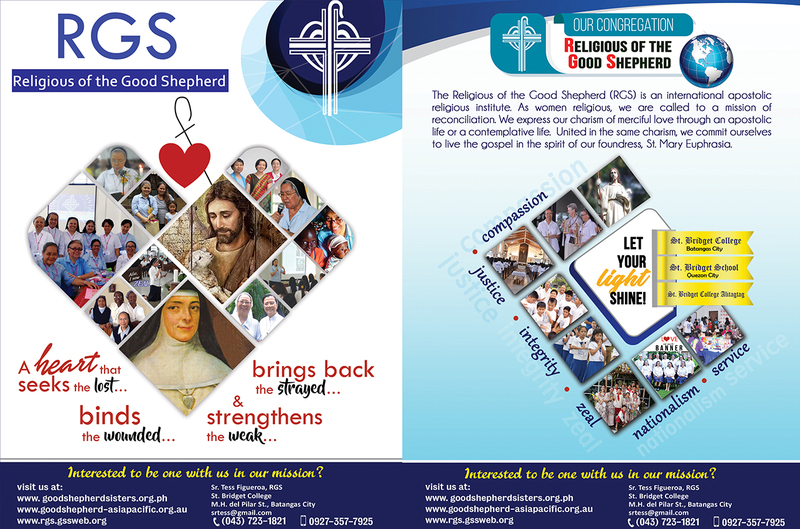 “Bridgetines Building Communion of Communities” was the theme of this year’s commencement exercises.